June 19, 2013 - Boeing announced yesterday at the 2013 Paris Air Show that it has launched the 787-10 Dreamliner, the third member of the super-efficient 787 family. Commitments for 102 airplanes from five customers across Europe, Asia and North America provide a strong foundation to support development and production of the newest Dreamliner. The new 787-10 will fly up to 7,000 nautical miles covering more than 90 percent of the world's twin-aisle routes with seating for 300-330 passengers, depending on an airline's configuration choices. The second member of the family, the 787-9, is in final assembly in Everett, Wash., and is set to make its first flight later this year. 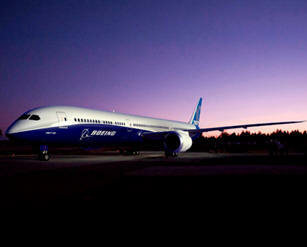 The 787-10 will compete against the A350. Although it will have a shorter range, it will offer better economics than the A350 on shorter routes, and have range for trans-Pacific and Europe to US West Coast flights. The 787-10 is to supersede the 777-200ER in Boeing's current catalog and could also compete against the Airbus A330-300 and A340-300.